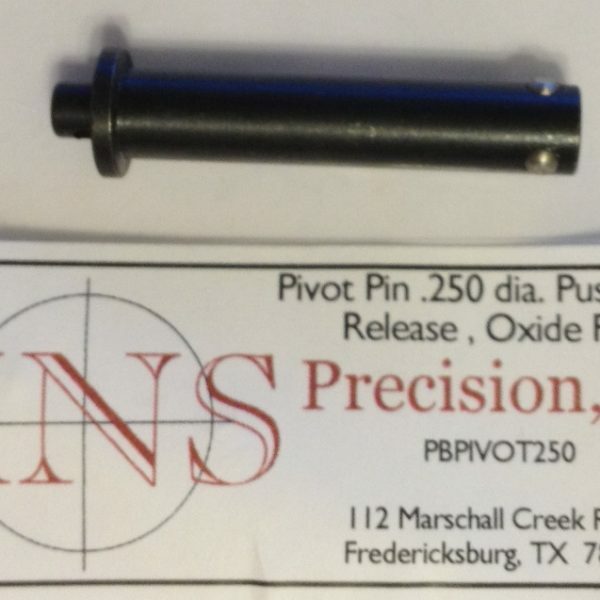 KNS Precision Push Button Pivot Pin .250 diameter. 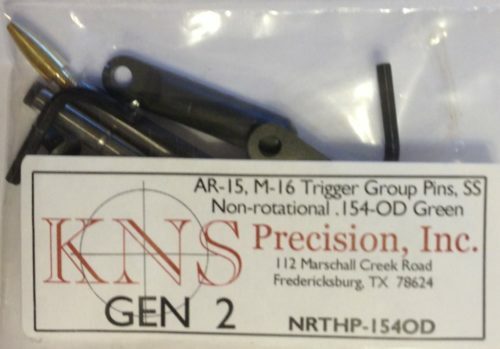 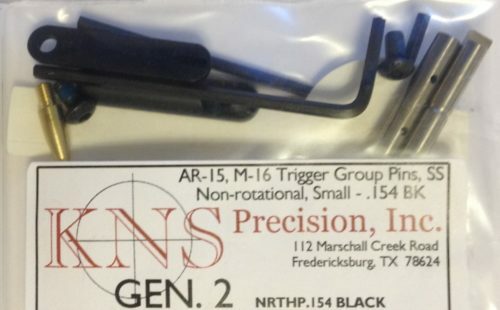 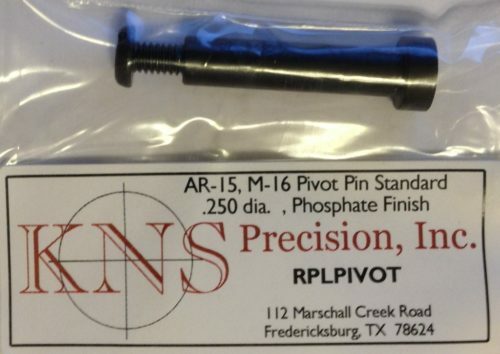 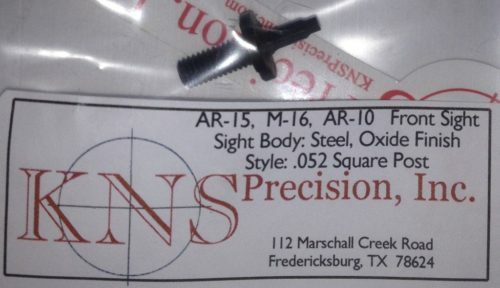 This small hole receiver pivot pin, designed for quick and easy removal, fits the AR-15 and M-16 The pin is .250 in diameter and is made of steel and has a black oxide finish. 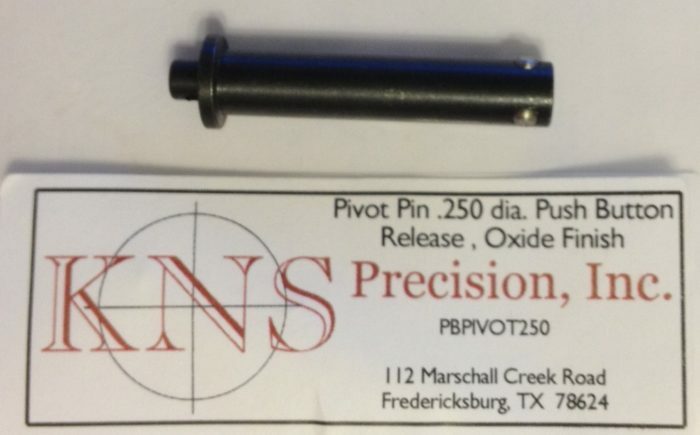 This pivot pin has a spring loaded push button. 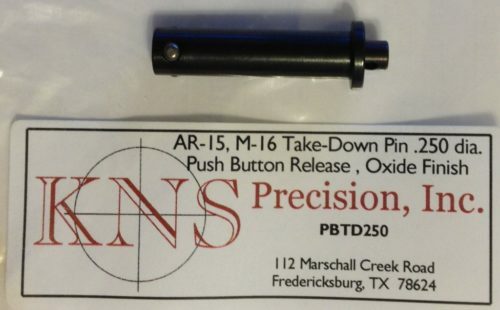 When pushed, the stainless steel keeper pins retract for easy pin removal. 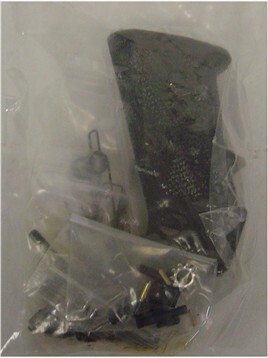 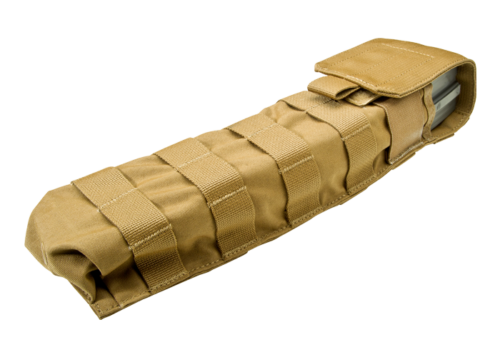 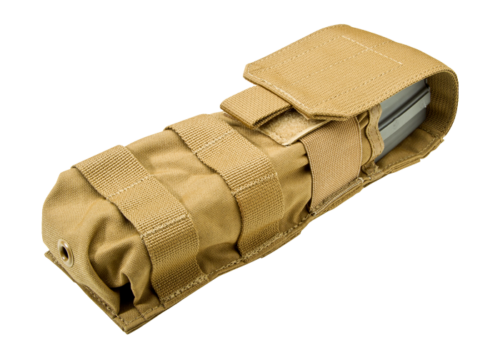 The pin is designed to eliminate wear in and around the hole caused by pins with spring loaded balls. 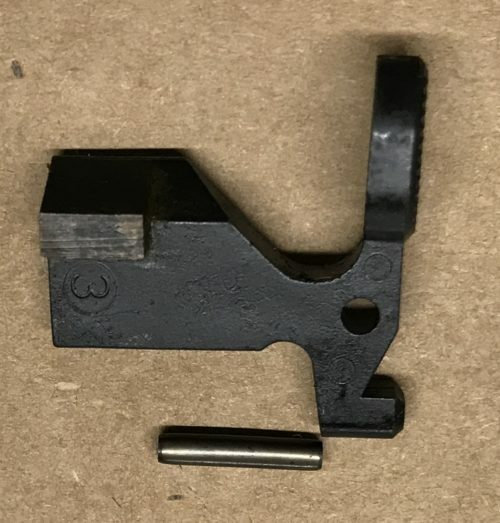 The button has a drilled cross hole which allows for the installation of a seal wire to prevent tampering with the guns internals.